The picture on the left shows the anatomy of the Blue Ringed Octopus. 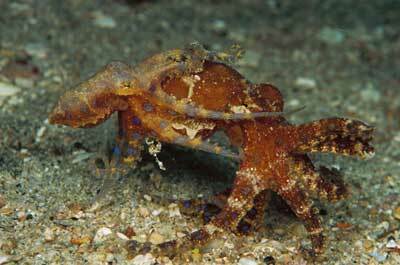 day and once the octopus reaches adulthood it develops the urge to mate. hectocotylus is about a meter long and holds the sperm for fertilization. hatch and new life is created.